All eight episodes of season one are now available on Switch in North America, and will become available in Europe and other territories on Friday, August 25. Award-winning developer and publisher of digital entertainment Telltale Games and world-renowned game developer Mojang today announced that Minecraft: Story Mode - The Complete Adventure is now available on Nintendo Switch in North America and will become available on August 25 in Europe and other regions. 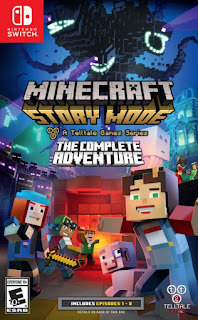 Available as both a digital download and a physical cartridge at retail, The Complete Adventure includes all eight episodes from the first season of Minecraft: Story Mode: five episodes from the original season pass, plus the three bonus episodes from the 'Adventure Pass' add-on series. This collection also represents Telltale Games' first official release on Nintendo's latest console. In Minecraft: Story Mode, players embark on a perilous adventure across the Overworld, through the Nether, to the End, and beyond. While attempting to enter EnderCon and meet Gabriel the Warrior, Jesse and friends discover that something is wrong... something dreadful. Terror is unleashed, forcing Jesse to set out on a quest to find The Order of the Stone in hopes of saving the world from oblivion. 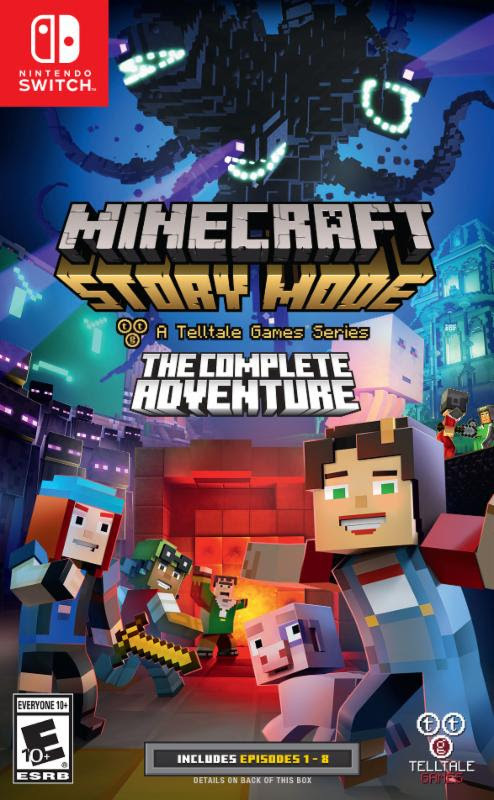 Minecraft: Story Mode - The Complete Adventure features an all-star cast, including Patton Oswalt as male Jesse, Catherine Taber as female Jesse, Brian Posehn, Ashley Johnson, Scott Porter, Martha Plimpton, Dave Fennoy, Corey Feldman, Billy West, John Hodgman, Paul Reubens, Sean Astin, Jim Meskimen, Melissa Hutchison, Yvette Nicole Brown, Jim Cummings, Kari Wahlgren, Stampy Cat, Stacy Plays, DanTDM (The Diamond Minecart), and CaptainSparklez. Minecraft: Story Mode - The Complete Adventure is available for US$39.99 or equivalent, and has been rated 'Everyone 10+' for Fantasy Violence and Mild Language by the ESRB. The Complete Adventure is a standalone product separate from the core Minecraft game. For more information on Mojang, visit the official website, follow @Mojang and @Minecraft on Twitter, and like Minecraft on Facebook.